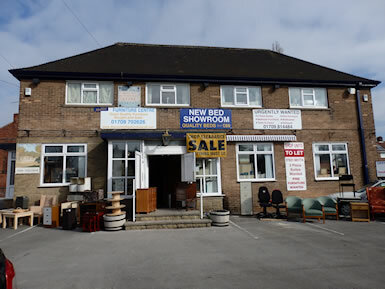 It started back in 1974, with a gentleman called Derek Martin, who’s interest in antiques, spurned him to buy a small shop in Sheffield, with his knowledge and great ability to restore furniture, the business quickly took off. In 1975 Derek’s eldest son Alan was working at Meadow Bank Engineering when Derek asked him if he would come and join him in the antiques trade, Alan said yes. 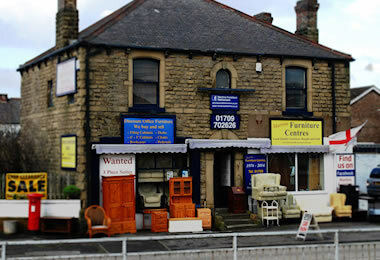 So the small shop was sold and a large warehouse was purchased on Balmoth court just off Abbeydale Road and Martins Antiques was born. 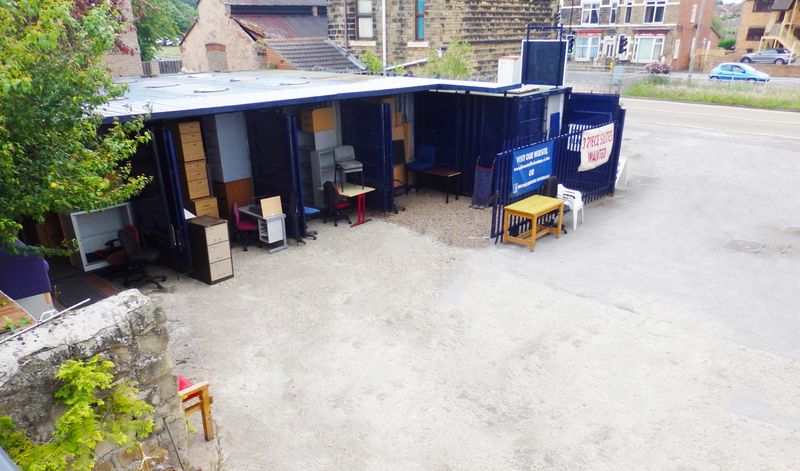 The warehouse was open to trade only, and was open Monday to Friday and on Saturdays Derek and Alan went out and about, usually round Halifax, Huddersfield etc., purchasing new stock, this is were Alan’s amazing talent to pack a van and stack the roof rack come into its own, it was a sight to be seen, sometimes they was only able to drive in second gear because of the sheer weight, even after buying a bigger van, Alan would still pack it to capacity and passengers usually having to nurse the odd chair or small table on their lap. 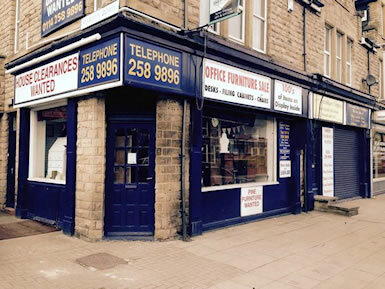 In 1982 Derek and Alan purchased a shop on Abbeydale Road to start selling to the public, the shop was over 3 floors and once more Alan’s ability to get lot into a little space soon had the shop full to capacity and more. 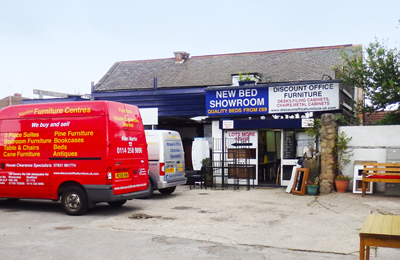 In 1988 Derek made the decision to semi retire and so the warehouse was sold, Alan kept the shop on and it was renamed ‘Alan Martins Furniture Centre’ and through hard work and determination the business thrived. 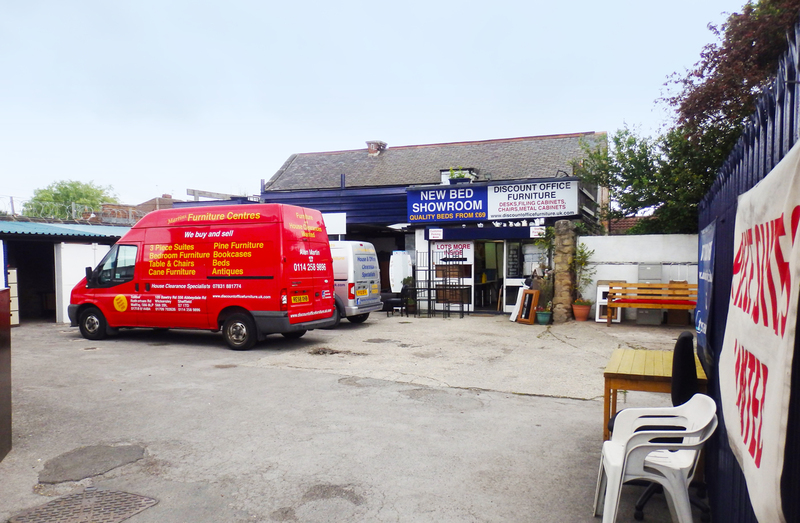 In 1992 the next door shop was bought, and with a lot of reshaping and adding bits on, the large ground floor show room emerged. 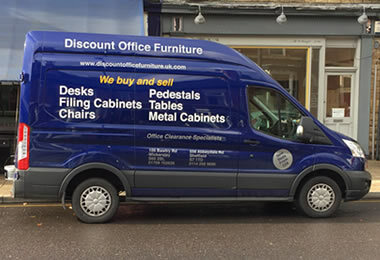 One day a van turned up full of filing cabinets, Alan decided to take a big chance and bought them all, they proved a huge success, so out he went and purchased some more along with desks, office chairs etc. Office furniture turned out to be in high demand. 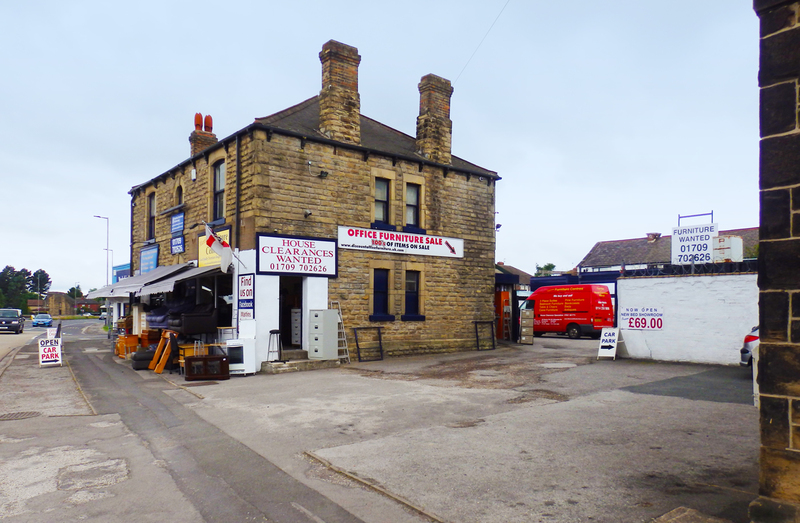 And in 1997 a further shop at Wickersley, Rotherham was bought, and with sweat and a few harsh words the shop was ready to open, people in the local area kept telling us that it wasn’t going to succeed but here we are 15 years later doing really well. 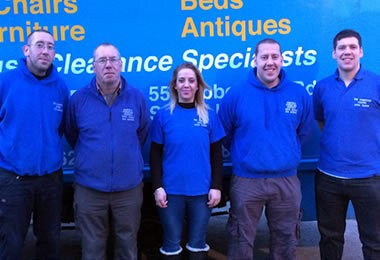 Over the last 15 year’s Alan’s 4 children (David, John, Thomas, and Samantha) left school and all came to work with him, and with a lot more hard work from all 5 of them, and buying another big warehouse in 2012, they have made the business the biggest deals in discount office furniture and house hold goods in Yorkshire, with contracts with Sheffield Hallam University, Probation Services, Rotherham Council and numerous student and private landlords in Sheffield, Rotherham, Doncaster and Barnsley. We take care and pride in our work and always aim to achieve high standards and put smiles on our customers faces, after all if we don't satisfy our customers needs and demands we wouldn't be where we are today without them, the customer is always King\Queen and always right and we aim high to reach all of your requirements. We have had an incredible journey from when we set off on our business enterprise to today, and if we can achieve even half the success of the previous 4 decades, 3 generations then we will be happy, you will be happy and there will be savings galore. 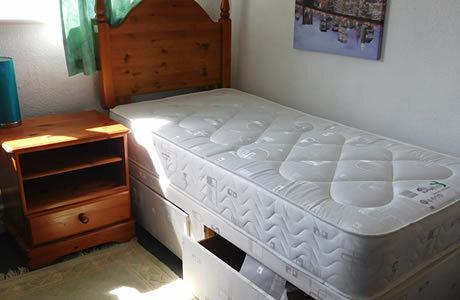 If you are looking for a unique piece of furniture then Samantha is the person you need. 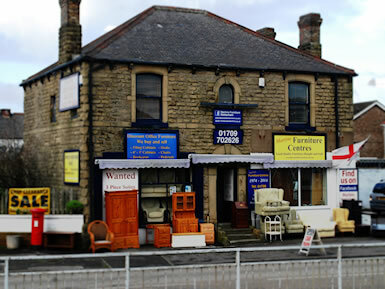 She runs the "Simply Unique" side of the business specialising in shabby chic furniture. Samantha has been painting from a very young age, and has always used different media that is available to her whether it be a camera taking photo, paints on canvas or her wall art. So when she started working at Martins Furniture Shop it was only natural that she started to paint the furniture too. All of the pieces of furniture created by Samantha are quality custom pieces. She takes a lot of pride in her work and her attention to detail is brilliant. Matching colours to your home and style. Even using retro comics, vintage books or stylish wallpaper to create that extra wow factor to your piece of furniture. She will work with customers to create individual pieces of furniture. As well as offering a selection of one-of-a-kind pieces ready to take away with you from her show room. If you would like her to create your own dream piece of furniture then please get in touch anything is possible and she is only too happy to help.